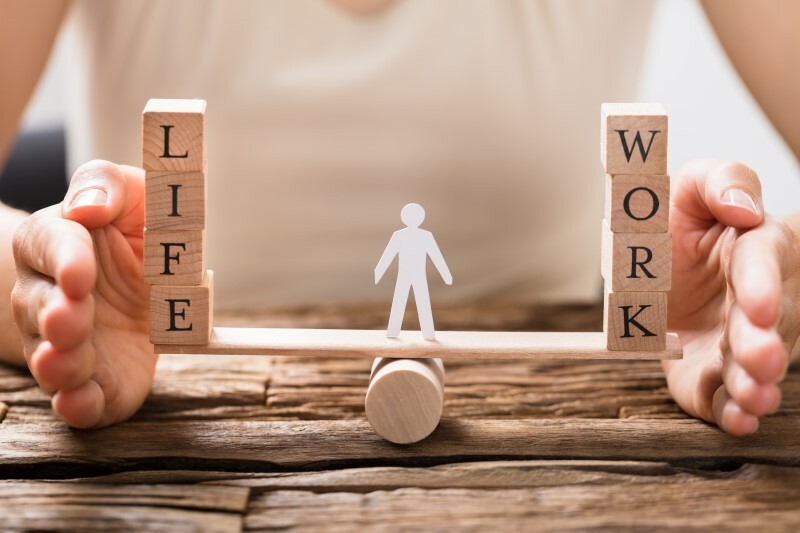 Are you ready to balance professional and private priorities – and regulate the inevitable intertwining of the two – if something unforeseen is to occur in your home life? For me this was the brave question a senior executive at a major corporation posed to a recent leadership summit in Sydney. It’s the type of question that’s not often asked publicly. “You never know how strong you are until being strong is the only choice you have,” she said, urging us to think about how to best position ourselves in case of crisis. The woman was sharing her experience as a trigger for conversation around balancing professional and private priorities. She set the scene by briefly describing how her partner went within the space of a few days from feeling rather run-down to being diagnosed with a terminal illness. The presenter said that, although distraught, as the then-primary carer for young children as well as a professional person with loyalty to her employer and her team, she found within herself a degree of strength she had not previously imagined. Her first choice was around privacy and potentially counter-productive intrusion. She said she opted to share details of the scenario on a strictly ‘need to know’ basis. Only a tight nucleus of colleagues was told, and those trusted with the information were asked to treat it as confidential. She arranged to divide up her corporate commitments, delegating part of her regular workload to her second-in-charge. She reduced her face-to-face hours in the office but ensured she could always be contacted whenever urgent business arose. “The structures I had in place more than compensated for my periods of absence. After many, many months of near-constant commuting to a hospital on the opposite side of the city and enduring invasive medical procedures, her family ultimately lost their fight against the disease. As the remaining parent she returned in due course to full-time work and is now a single mother balancing caring for a household with pursuing a satisfying professional career. She said she decided to share insights from her journey through the challenges, disappointments and discoveries in order to start other people thinking about how they might react, and who they might call on, if something unforeseen was to occur in their own lives. “Resilience needs to be constant over the journey – it’s not enough to be resilient at a point in time,” she said. Nobody – regardless of professional seniority – is immune to suffering turmoil at home. So, if faced with a similar circumstance, how would you – and those around you – respond? As unsettling as it is to ponder this, the potential to be caught unprepared is even more frightening. Would you have the understanding and co-operation of your employer or clients? It’s a conversation that’s well worth having (no matter how uncomfortable the first few tentative sentences may be) in the interests of ensuring all parties understand clearly where they stand. Equally, it’s food for thought for every business owner who’s committed to appropriately supporting their employees and suppliers yet managing the challenges of running a profitable and sustainable enterprise at the same time. *As part of our B Corp accreditation, Currie is assessed on our consideration of the physical and emotional health of our people. This year we were proud to be honoured in the Best for the World Workers list, and with the implementation of our ‘Healthy Currie’ program, we’re making sure it stays in focus. With almost 30 years’ experience in the print media, Rosalea has written, edited, designed, proofread and published magazines, books and newspapers in hardcopy and electronically for the mainstream mass market and for niche special-interest and industry consumerships. She believes every individual has a story to tell and relishes collaborating with clients to make their voices heard. A curious, detail-driven production journalist at heart, she embraces working to tight deadlines as the ultimate adrenaline sport.